The 2018 World Day for Audiovisual Heritage will take place on October 27! Please participate and post information about your institution's celebratory events on the CCAAA website! Like last year, CCAA has created a simple online form which you will find on this dedicated page of the website and where you can easily add your event. On this same page, you can also see what other institutions are doing to celebrate this important day as people continue to post their events over the course of the next month. 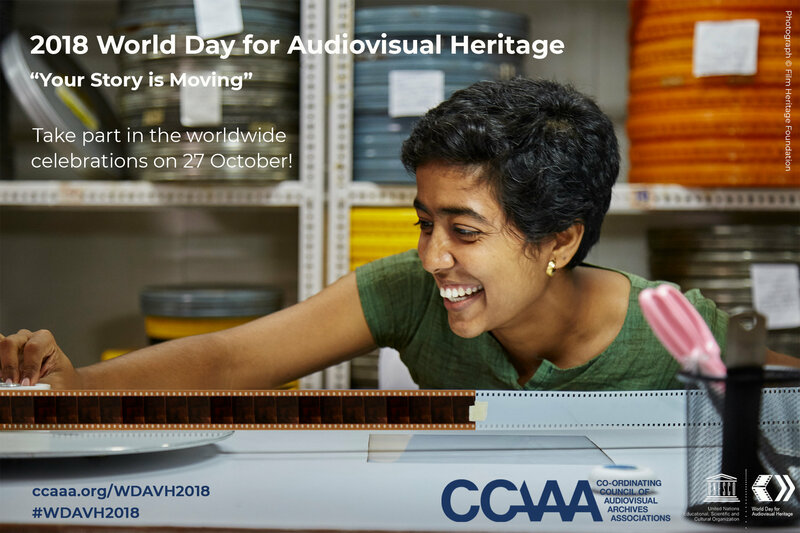 Additionally, please promote the World Day for Audiovisual Heritage on your institution's and organization’s websites by linking to the dedicated CCAAA webpage, and sharing the official poster and the CCAAA statement about this year's World Day.